Editors Note: This guest post is from Patti Massey, President of Myca Multimedia & Training Solutions. A successful entrepreneur for more than 20 years, Patti has been working in the elearning field since 2002. This October, ABC World News reported on bullying in the workplace. The correspondent stated that a recent survey done by the Centers for Disease Control discovered that bullying affects approximately 12 million Americans. Bullying in the workplace is epidemic. Who are the victims? Would you be surprised to learn that a neurosurgeon was bullied daily? What are the consequences of bullying? They range from increased stress, depression, high turnover, low morale, and a host of negative impacts on employees and the work environment. What constitutes bullying? Elizabeth Pomeroy, PhD, LCSW cites bullying behaviors to include false accusations of mistakes at work, discounting contributed ideas, and other commonly recognized bullying actions: screaming, rumors, and gossip. Bullying can be very subtle and hard to identify. Training is an important step toward recognition and prevention. Do you think your organization views bullying as “harassment lite?” Many organizations have policies on harassment prevention that may reference bullying as prohibited behavior. Yet, bullying is typically treated as a lesser offense than harassment. Why? Bullying is not generally considered illegal. 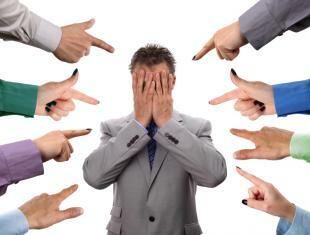 Nevertheless, bullying can be deemed unlawful if the victim is part of a protected class. There are many facets to bullying. For example, one study by O’Moore and Lynch deduced that autocratic leadership styles lead to widespread bullying behaviors in the workplace. Is there a definitive roadmap that could inoculate the workplace from systematic bullying? Not at this time. But, recognizing the existence of workplace bullying and addressing the issue with diligence with proven methods like continuous training including bullying prevention, diversity, ethics, and leadership bring us closer to a respectful and bullying-free workplace. Train employees to help eliminate bullying in your company—this Respectful Workplace bundle from Myca Training is a great place to start. Patti Massey has been a successful entrepreneur for more than 20 years. She was one of the founders of a technology company that went public in 2000, and has been working in the elearning field since 2002. Her company has created a wide variety of elearning products designed to reduce barriers and improve productivity within the corporate environment. Connect with her on Google+.